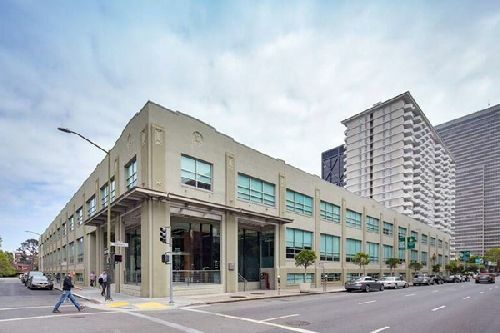 TMG Partners and Invesco Real Estate have acquired 600 Battery Street, a 120k sf, historic building in San Francisco’s Jackson Square, in a deal that industry sources put at around $120 mil, or $1,000/sf. The asset was sold by a joint venture between M&J Wilkow, out of Chicago, and National Real Estate Advisors LLC, out of D.C. The building was constructed in two phases between 1927 and 1938, and was completely renovated to Class A standards in 2000 when the current tenant took occupancy. The building features 40k sf floorplates and a contemporary aesthetic with tall, exposed concrete ceilings, polished floors, and high-quality interior improvements, all highly desirable to today’s tenants. The property has a roof deck with views of the Bay Bridge, Coit Tower, and the Transamerica Pyramid. 600 Battery benefits from the neighborhood mix of outdoor spaces, such as the adjacent Sydney Walton Park, great restaurants including Kokarri and Roka Akor, and social institutions such as The Battery. It is one of a very few large blocks of space that will come available when the lease in the building expires in mid-2020. TMG knows the building well, as they completed the original renovation on the property in 1998 and sold the building to the current seller. The tenant in the building is the same tenant which TMG leased the building to 20 years ago. Mike Taquino and Kyle Kovac of CBRE represented the seller in the transaction.